I had my mobile app search agent set for the keyword ‘Vergroßerer’ – german for enlarger. The app in question is the Austrian secondhand site Willhaben. I like to call it, “I’ll be havin’ that” – Will having …. So enough of the german lessons for today and onto the subject – Choosing an Enlarger. Now I did mention to some of my work colleagues I was going to purchase a vintage enlarger. They were literally set aghast bewildered what the heck an enlarger could be. Some suggestion aren’t appropriate to write on this blog! Film photography seems as foreign as Led Zeppelin on vinyl or Bowie on a cassette. Yes the veneer of my age is starting to show. Even the awesome band the Prodigy on CD is now becoming extinct. To convince this generation that photographs were once produced by light projection onto a chemically sensitive paper is completely a weird idea to them. 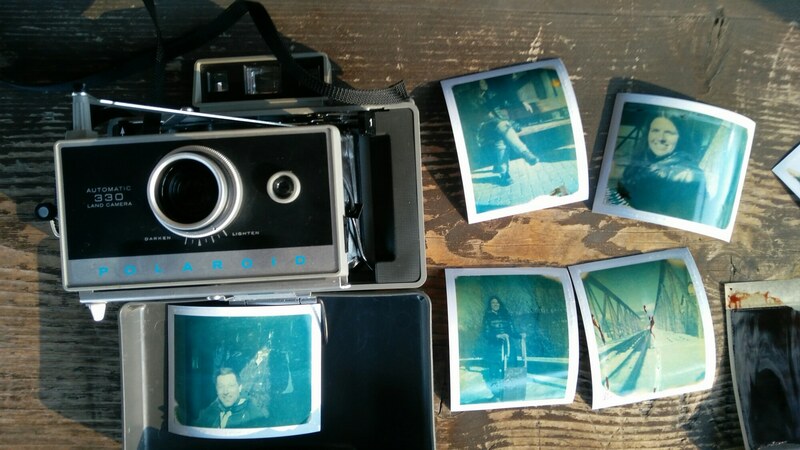 Well maybe Polaroid Originals and Fuji Instax would help to assist in this matter of past photography. At least it would bridge the gap to grasp the concept of chemical photography. It is certain to be now that film and paper development is really a niche hobby as digital dominates our lives completely. Mind you I’m still not convinced everything that’s new is better. So what’s an Enlarger anyway ? Basically is a simple device which projects an image using a light source through a film negative via a lens onto a surface. The projected image can be used to make photographic prints on photo sensitive paper (not inkjet paper). Such as IlFord papers. 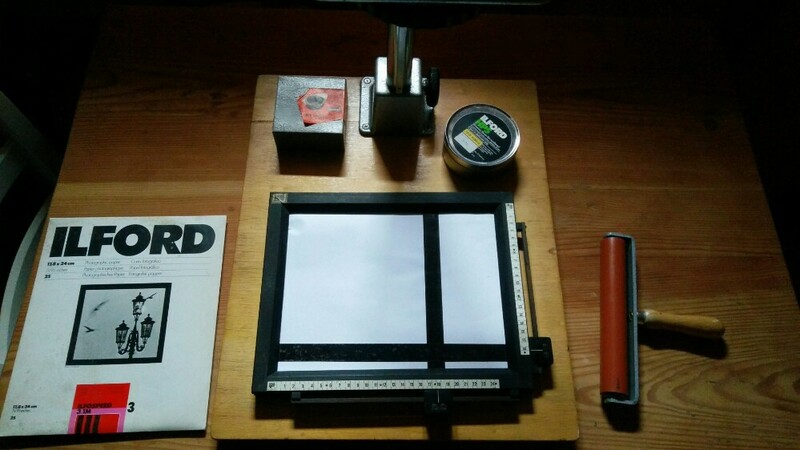 An enlarger normally features a stand, a base board, a light bulb, film holder and a lens. Just like on a camera, lens can be better or worse quality. It’s important when purchasing an enlarger that the lens is good and of course working. As it’s pretty much the heart of the apparatus. The image can be increased or decreased in size. While also focused too by the use of the lens within the Enlarger. Lens can also be changed to suit the size of the film negative and the size of the print desired. What to look for when buying an Enlarger ? If you are buying an enlarger ensure it’s suitable for the film negatives you have. Near all enlargers will cater for 35mm and are super cheap these days compare to the prices back in the 80’s or 90’s. But I would also recommended choosing a device which can handle medium format too. Medium format is so much more fun! Does it include a lens ? Does it handle 35mm and 120 medium format ? Is the light bulb working and are spares available ? Is it a well known brand such as Durst, Kaiser, Meopta ? Are all the film carriers and condensers included ? Is there a manual available or can you download one ? Is the base board included ? Avoid rust and damaged enlargers. Color filters or Color enlargers might be important to you if you use multigrade papers or wish to produce color prints. Is it easy to use and take apart to clean out the dust ? Should only cost 50 – 150 euros ? It’s important not to buy a device which isn’t complete or doesn’t appear to be solid such as a cheap non-brand plastic lump for the 70’s/80’s or a device which is simply too old. Some antiques aren’t usable any more. I’ve a preference towards Durst because I live in Europe and they are wide available on the secondhand market. The enlarger I choose was an old Durst first built in 1958. An antique by today’s standard. This machine came with both lens for the formats I use. While it can’t handle 6×9 medium format, I can crop the image either way – 6×6. It’s not really suitable for color negative out of the box however most of my negs are B&W anyway. There is however a filter tray for color if I wish to use it. But that’s another subject in itself. I pay 79 euros for a Durst 606 with two lens, some paper and an easel (framing tool). When you receive you secondhand enlarger ensure it’s clean and free from trapped dust. This was first thing I did with my Durst 606. Starting with the film carrier, I took it apart and cleaned under the glass to remove some old dust. I also clean with window spray the various lens/condenser and mirrors in the device too. Use some vaseline to lubricate the enlarger stand to ensure the up and down movement is smooth. You need a easel which is a framing tool to ensure the size and edge of the photograph you wish to create are correct. The following review appeared in the now-defunct Modern Photography magazine, December 1959, in the “Modern Tests” section. It was written by Myron A. Matzkin. I’ve edited it slightly for brevity. Specifications:Durst Model 606 enlarger. Negative size: 8mm to 2¼ x 2¼. Light Source: 150-watt Opal or projection lamp. Construction: Die-cast metal. Negative carrier: glass. Other features: Reflex focusing and viewing for copying; 35mm negative roll cups; lamp height adjustment; built-in red safelight filter; distortion correction. Price: $99.50 w/o lens. The Durst 606 is a compact, streamlined Italian enlarger with several new approaches to combining an enlarger with a copying machine. First, instead of the conventional negative carrier that handles only one negative size, the Durst combination glass negative carrier and condenser may be continually adjusted for any format from 8mm to 2¼ x 2¼. Two knurled knobs on the carrier control masks may be set for an almost unlimited number of shapes and sizes up to 2¼ square. We quickly discovered an additional advantage to the carrier in making odd-shaped prints — slim verticals and long, thin horizontals, for instance. Ordinarily, you may push the enlarger lamp housing to the top of the column, spilling unwanted picture area off the easel. In color printing this can result in fogging. With the Durst, you mask the exact picture area so that there is no spill-off on the sides of the easel to cause reflections. Important too, masking lets you see the exact composition without extraneous, unused side images to confuse you. As we mentioned, the carrier is combined with one of the two condensers by means of two pivot arms. Both condenser and carrier fit into a rather large negative carrier slot on the enlarger. After the carrier is placed in the enlarger a lever raises the condenser just enough to allow the negative to be slipped easily in place. Lowering the lever places the condenser mount on the edges of the negative, pressing it flat in the carrier. Mirror reflex viewing, utilizing the same mirror and condenser used for enlarging, makes copying parallax free and assures accurate focusing. Unlock a red locking bar, lift out the mirror-condenser housing, turn it around and drop it back in place and the condenser becomes a viewing screen for the reflex system. The mirror reflects the image from the lens to the condenser, giving an exact picture of the copy. A ground glass screen in a special accessory carrier replaces the regular negative carrier and shows the area covered by the lens. A plate holder slips under the ground glass when you’re ready to shoot. Exposure is controlled by the duration of the copying lights. The short column of the enlarger, only 28½ in. high, is a blessing for anyone working in a darkroom with a low ceiling. 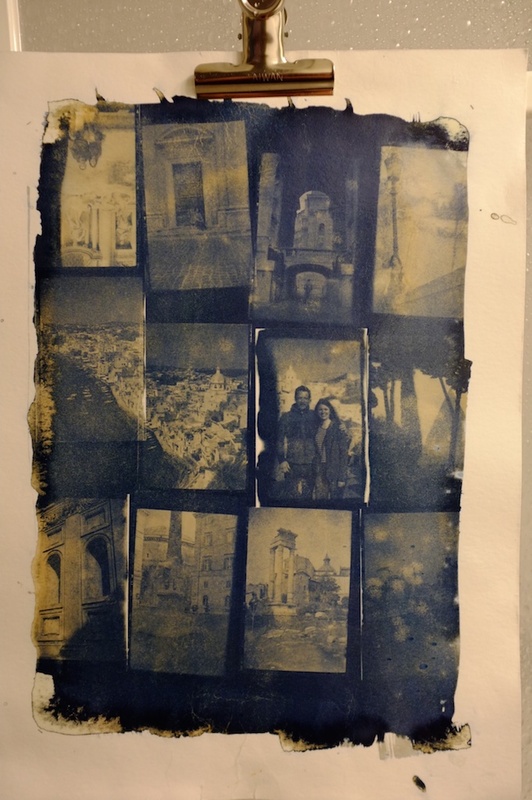 Even with its short height, you can make 16×16 prints from 2¼ negatives with the enlarger in normal position. Or you can tilt the lamp housing 90° and project on a wall for mural size prints. The tilting feature can of course also be used to correct perspective. You’ve got to be careful not to touch the removable lamp housing during prolonged exposures. While the rest of the enlarger tends to be rather cool, the lamp house does heat up considerably — enough to burn your fingers, we found. The friction drive raising and lowering the enlarger operates with a knurled wheel and works rather slowly — but smoothly. Illumination is even over the entire area of the baseboard. But if illumination should become uneven for any reason, adjusting the lamp height helps correct the situation. The Durst I choose is really elegant however limited to 6×6. The 800 series or 132 model can handle much bigger negative however they both occupied a considerable amount of space. Next stage will be to develop some prints!